Отель Lijiang Bird&Fish Inn находится в городе Lijiang. 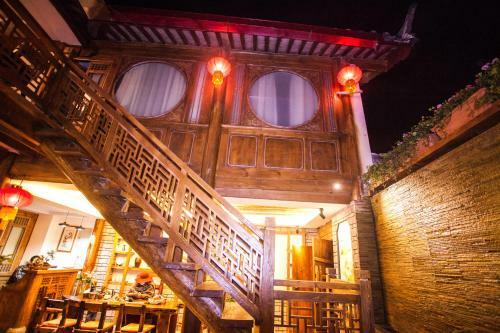 Featuring free WiFi, Lijiang Bird&Fish Inn offers comfy accommodation in Lijiang Ancient City. Sifang Street is 500 metres away. Lijiang Bird&Fish Inn is within a 10-minute walk of Mufu Palace. Lijiang East Railway Station is a 20-minute drive away.